Gosh, doesn’t time fly? 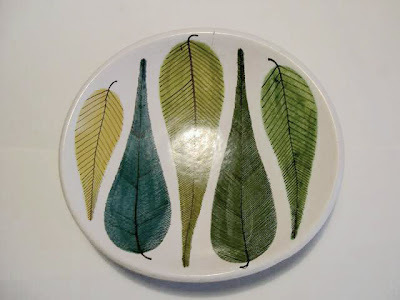 Especially at the Swedish eBay site, Tradera (thanks so much to Janne for this link). Fortunately, all the amazing things for sale are listed in Swedish, so I’m not too tempted to buy it all. 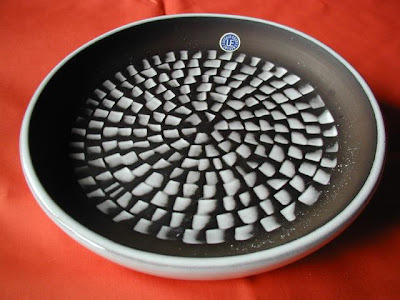 And how did I resist this Gustavberg dish (possibly also by Stig Lindberg). 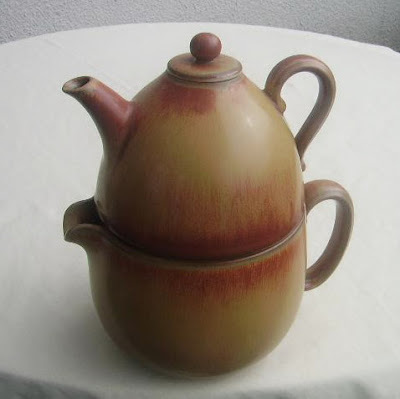 Such a sweet double teapot by Gunnar Nylund. 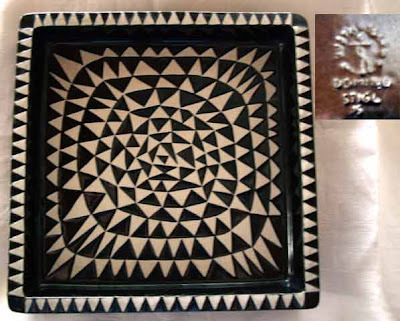 And even though this might be an ashtray, this Uppsala Ekeby dish caught my eye too. Now it’s over to you. Isn’t there a long weekend coming up? Go on, spend it over at Tradera.